3 to 5 years hands on experience on injection moulding process & equipment. department and arrive at the most economically efficient process. cycle time and consideration for machine and mould safety. anticipate specific problem from machine, process, mould or material. To establish continuous process evaluation and improvements..
To perform inferior product analysis and investigation. in the process setting to cope with the normal wear and tear of the mould elements. To interact with the counter-part on the customer side with regards to project schedule and status. To take suitable corrective and preventive action on the quality issue highlighted by QC, QA and customers. Possess Diploma or equivalent in Mechanical Designing/Engineering from recognised Institutions. 3-5 years working experience in Mould Designing of precision moulds. Working experience of UG Cad/Cam software, fabrication and injection moulding process. To responsible on mold design and attend FMEA meeting to analyse on mold improvement till part approval stage. To lead on generate detail drawing include 2D / 3D model for toolroom operations. To liase with customer for all new mold include process design, tooling fabrication and development before mass production. To monitor on sample submission, mold testing, repairing and modification. To ensure mold approval sample is issued on time and take immediate corrective action if sample approval is NG. To propose suitable / new software for better efficiency in Tooling manufacturing. To attend BD department Capability Review Meeting on overview new project on Tooling & Engineering capability review. To response on mold design improvement with feedback from Tooling, Engineering and Production relevant personnel. Possess Degree/Diploma with 3 years related experience in injection moulding industry. 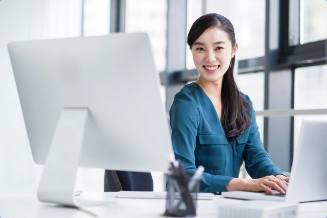 To oversee the QA daily operation and manage improvement activities. With good knowledge and exposure in Quality & Environment Management Systems. Possess strong leadership, good interpersonal and communication skills and able to work independently. To ensure quality materials are received from suppliers and quality products are delivered to customers. To monitor and evaluate monthly quality and service reports from customers. To coordinate and organize corrective action plan with relevant department or sections for all forms of internal/external non compliances as well as any unsatisfactory quality performance. To ensure effective implement, sustain and continually improve quality and environmental systems at all times. Possess Degree / Diploma in Tool & Dies Making / Mechanical engineering or equivalent. Minimum 3 years similar position in a plastic injection mould making industry. Able to handle process mould making planning, mould assembly and manage the team to support any improvement troubleshooting, repair and maintenance of molds in the production. To responsible for daily operation of the tool room and follow up progress of workpiece and mold fabrication status. To check daily on job report to improve tooling process, take immediate corrective action together with technical support. To confirm on each drawing machining process and plan job accordingly. To discuss and meeting with engineering regarding improvement on new / repair / modify mold. To discuss with engineer and machinist on how to reduce machining time or improve machining method. To maintain minimum stock of all material, tools and accessories. Degree/Diploma in Engineering, Tools & Dies from Technical Institutes. Minimum three years experiences in handling tooling machine operation, mold design & Cam programming. To fully responsible on tool room daily operation activities & follow up progress of inserts & mold fabrication actual status. To discuss and meeting with engineering team regarding improvement on new / production / modify mold. To follow up on the relevant Tooling Technicians in ensuring all their machining works are progressing smoothly & meeting the respective schedules. To ensure mould insert fitting and assembly are in optimal condition to reduce part defects during production. To lead & create 3D Model programming for mould inserts and electrodes. To verify that all related CAD programming prepare in optimal condition include workpiece finishing surface and dimensional. Possess Diploma/Certificate in Mechanical /Engineering / Tool & Dies /Polytechnic. Preferably 1-2 years experience in similar industry on new products and product development. To assist the Project Engineer in the testing and qualification of new or transfer mould. To assist the Project Engineer in the preparation of part measurement data. To perform measurement of parts. 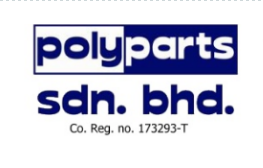 – New parts qualification / part modification. To assist the Project Engineer in the preparation of Engineering standard document and procedure manual. To conduct training on new parts to all relevant personnel.